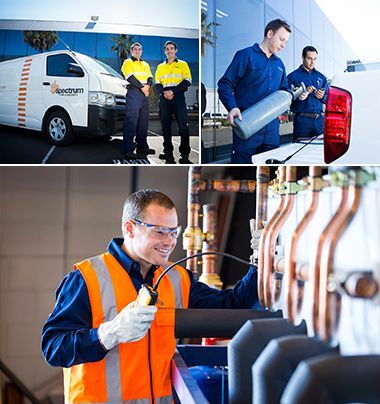 In October 2012, Allegro acquired Hastie Services out of the receivership of parent company ASX-listed Hastie Group. Hastie Services comprised three separate businesses – Trilogy Servicing (‘Trilogy’), Spectrum Fire and Security (‘Spectrum’), and Cowley Services New Zealand (‘Cowley’) – which Allegro rebranded TSC Group Holdings (‘TSC’). Allegro was the only bidder for Hastie Services, which reflected the many challenges facing the business. At the time, it was a daunting prospect. However, it proved to be a shrewd investment by Allegro as it deployed its turnaround skills to transform a loss-making business into a profitable enterprise. Ultimately generating a handsome return for Allegro investors. Engineering Services firm Hastie Group was comprised of more than 50 subsidiary businesses, all run as standalone entities, including the three businesses that made up Hastie Services – Trilogy, Spectrum and Cowley. Hastie Group’s sprawling businesses reflected the acquisitive nature of the Group. However, there was inadequate oversight and acquisitions were not properly integrated. The company’s growth focus fuelled a heavy debt load, further exacerbated by unprofitable contracts, customer attrition and operational issues, eventually contributing to the Group’s collapse. 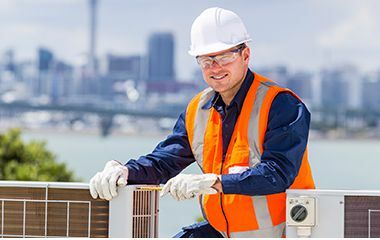 The three Hastie Services businesses, rebranded TSC Group under Allegro ownership, provided technical maintenance services for commercial HVAC (heating, ventilation and air conditioning) and fire protection systems with a national network across Australia and New Zealand. TSC employed more than 1,100 staff with more than 5,000 contracts across the private and public sectors. Hastie Services’ modus operandi mirrored its parent company. It was overly acquisitive (13 in six years) with limited integration efforts. This focus on top-line growth resulted in a loss-making installation business along with many large unprofitable contracts. The business was losing money. The receivers appointed to the Hastie Group identified accounting irregularities, particularly in the Hastie Services division. This led to a further deterioration in the culture, more staff turnover and significant brand damage. Not surprisingly, competitors took advantage and targeted the company’s high margin customers. Enter Allegro. Upon acquisition, our immediate focus was to stabilise the business. Firstly, the business needed to be rebranded. The “Hastie” name had suffered significant reputational damage so Hastie Services was rebranded TSC Group. Another immediate priority was exiting the loss making installation contracts and large low-margin service contacts. We instead focussed on winning sustainable higher margin maintenance contracts. TSC Group CEO Roger Jowett said managing customer contracts was a significant challenge in the early stages. “While we were unwinding unprofitable customer contracts, in other parts of the business we were trying to stem the flow of customers who lost confidence in the business as a result of the insolvency process,” he said.